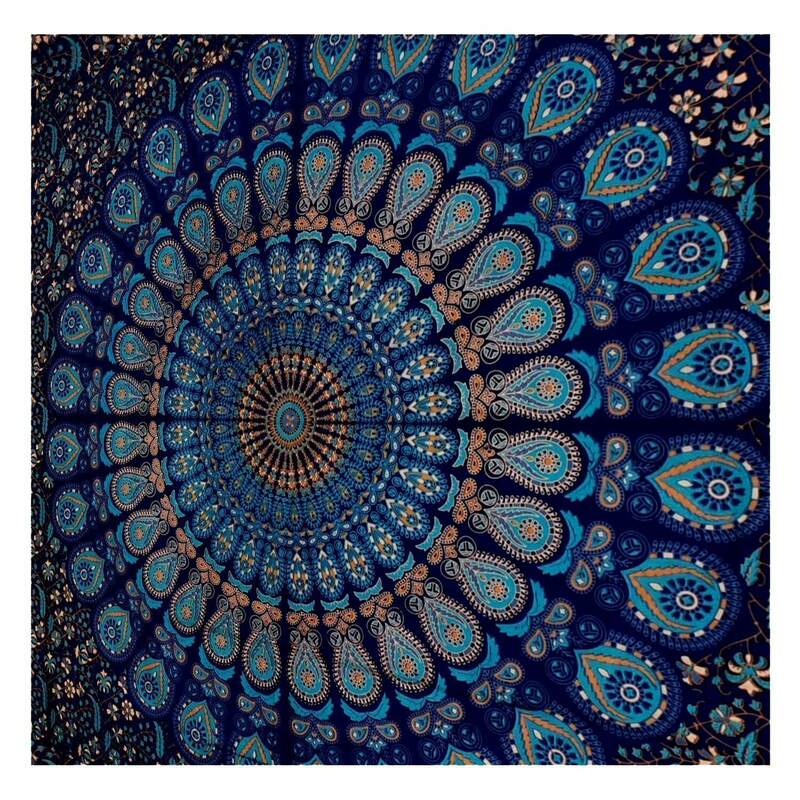 The dimensions of this blue tapestry are 86 x 56”(Twin) and 90 x 85″(Queen) . 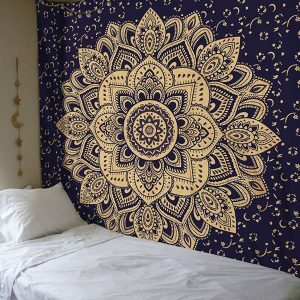 You will get a single tapestry in the packet. 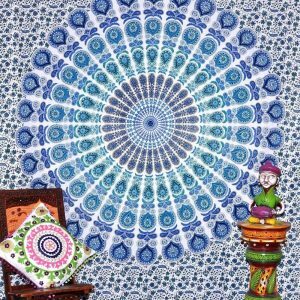 In cold water, you can softly wash this folkloric piece. For drying keep it away from direct sunlight. 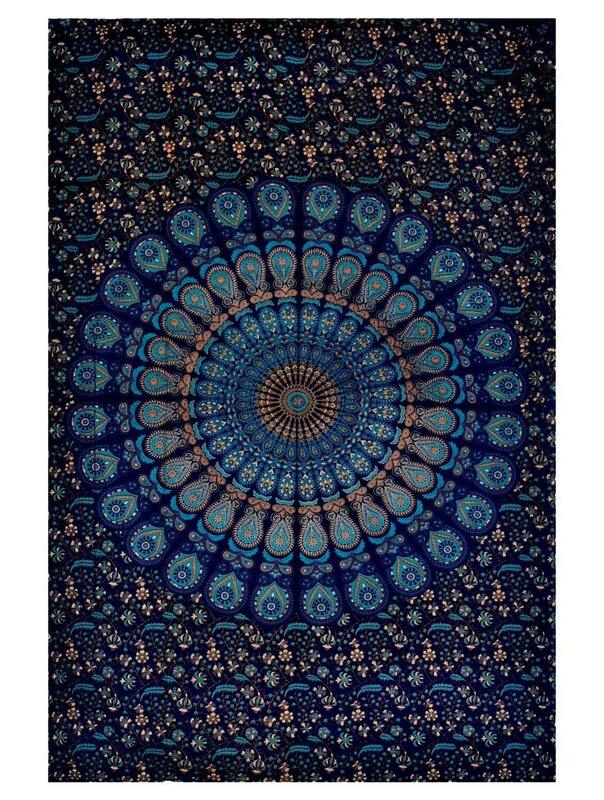 We make use of 100% pure cotton material to create this handmade tapestry. 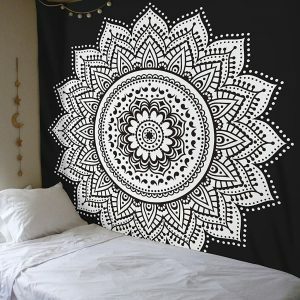 You can use this cultural piece of art in picnics or beaches; to cover your bed, window, table along with hanging down on the wall. 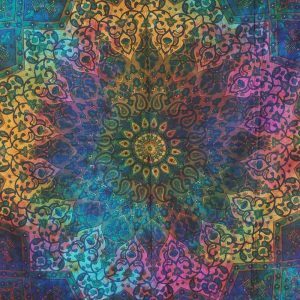 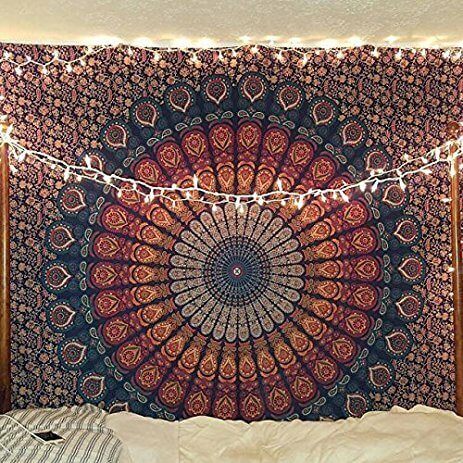 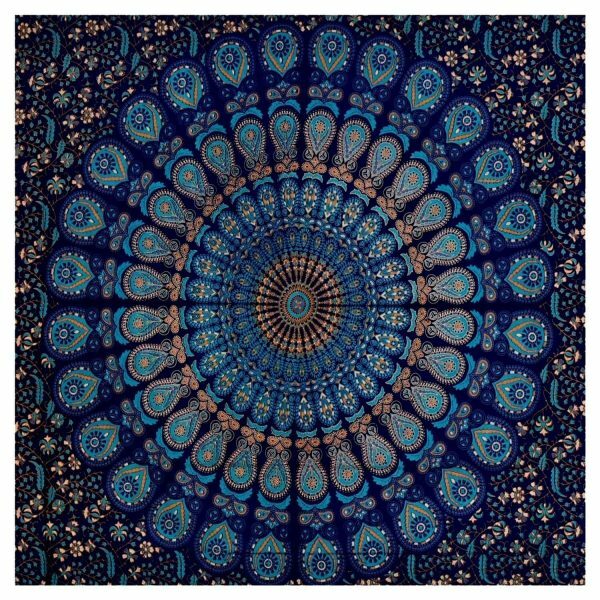 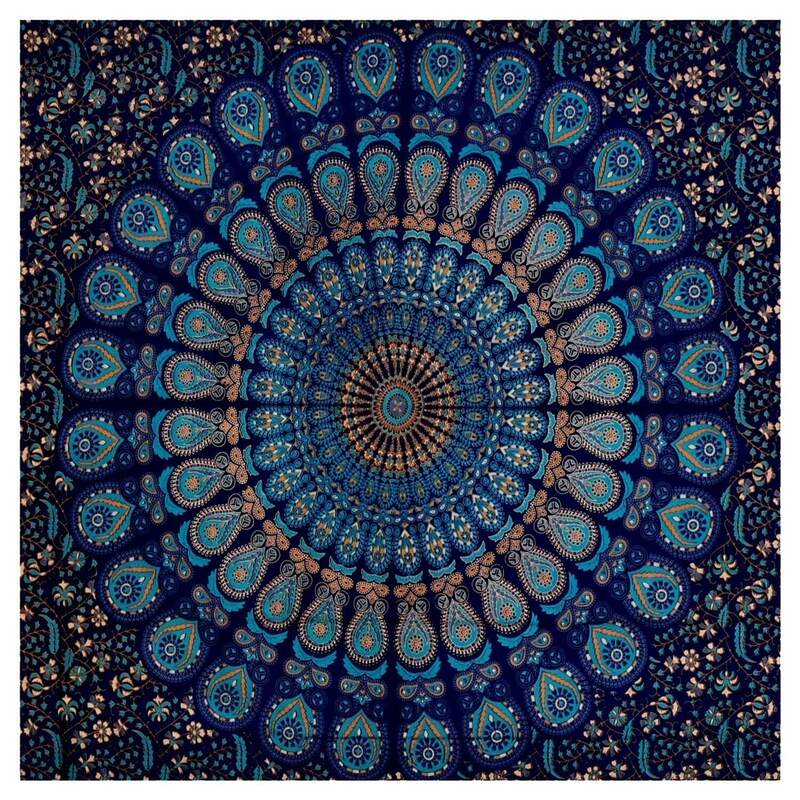 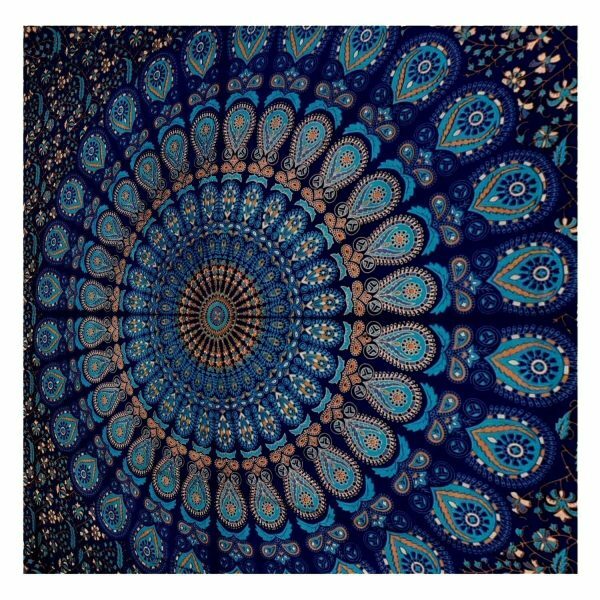 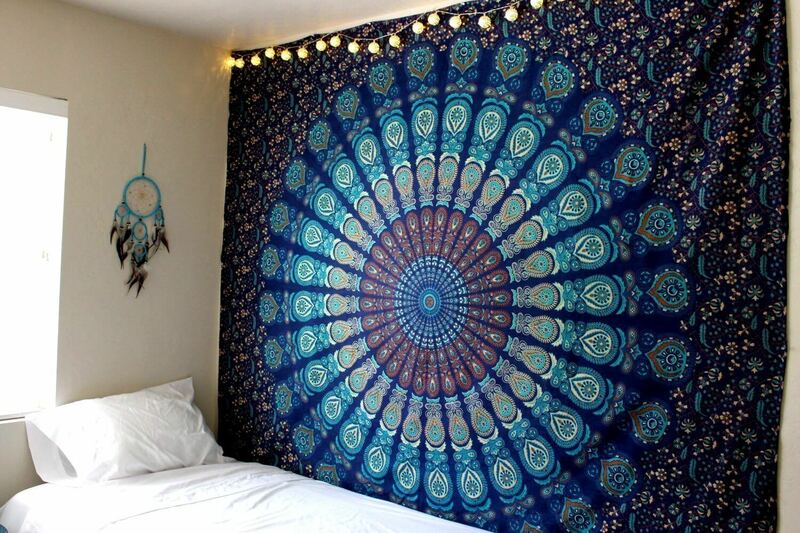 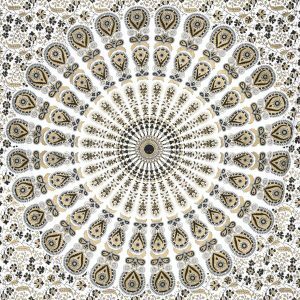 The Mandala design and Hippie feature will make this tapestry a lovely piece of art.